Luxury Parisian brand, KENZO (remember those iconic tiger sweaters and t-shirts that we were obsessed with a couple of years ago? 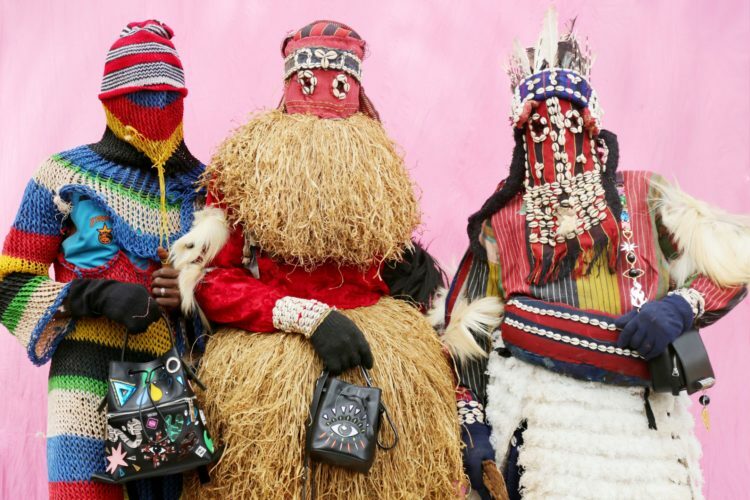 Yeah, those ones) have commissioned Nigerian curator and film maker Akinola Davies Jr to conceive a project around its men’s, women’s and accessories collections under the notion of ‘summer ceremonies’. Akinola Davies Jr – aka ‘Crackstevens’ – is based in London. He has assisted the likes of fellow directors, Tim and Barry, Cieron Magat and Simon Owens. He was programmer of online show ‘Just Jam’ and conducted a talk show on social issues on London-based NTS radio. He is an advocate of community and redefining the narrative of Africa as a member of its diaspora. He often speaks out on issues ranging from mental health, gender equality and the redefinition of masculinity. Hey Akin! So tell us, how did this all come about? Did KENZO reach out to you? On a recent trip to Los Angeles, I was fortunate to meet the image directors over at KENZO, Partel Oliva. They were out shooting their fantastic ‘Club Ark Eternal‘ editorial. To my surprise they had seen my work and ask if I’d be interested in shooting a fashion editorial. Obviously I’d been huge fan of Partel Oliva’s output for KENZO alongside the likes of Khalil Joseph, Spike Jonze, Johnny Dufort, Florence Tétier and Nicolas Coulomb. Have you and Ruth worked together before? No, I’d never worked with Ruth before. I came across her through a mutual friend and fantastic photographer in her own right, Lily Ann Galt-Mcloughlin. Once I saw Ruth’s work I fell immediately in love with the images. 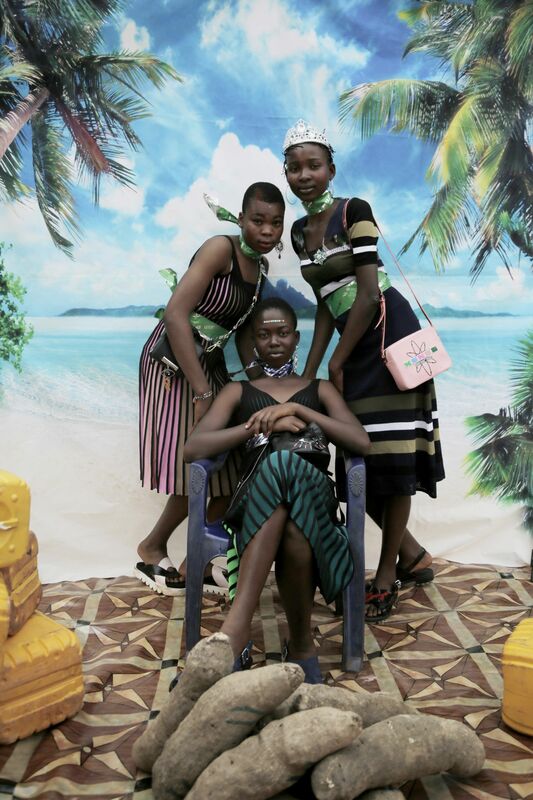 It was important to see a Nigerian woman documenting her culture and the others that she came in touch with. For a long time the narrative of Africa has been male-dominated but there are incredible and distinctive platforms being built by women like Maki Oh, Amy Sall, Nadine Ijewere, Oroma Elewa, Yagazie Emezi, Onyeka Nwanokwu, Rym Bedoun, Mallence Bart Williams, Zanele Muholi to name a brilliant handful. African women have long nurtured our communities and I found the way Ruth focused on the people and their style so endearing. Her work documented Africans being Africans. I really wanted to know more about the communities and the people she photographed and later I realised that she has long reaching relationships with all of them. So I reached out to her on Instagram and after a few months (hopefully not coming across like a creep!) I convinced her to work on this with me. Where did this concept come from? 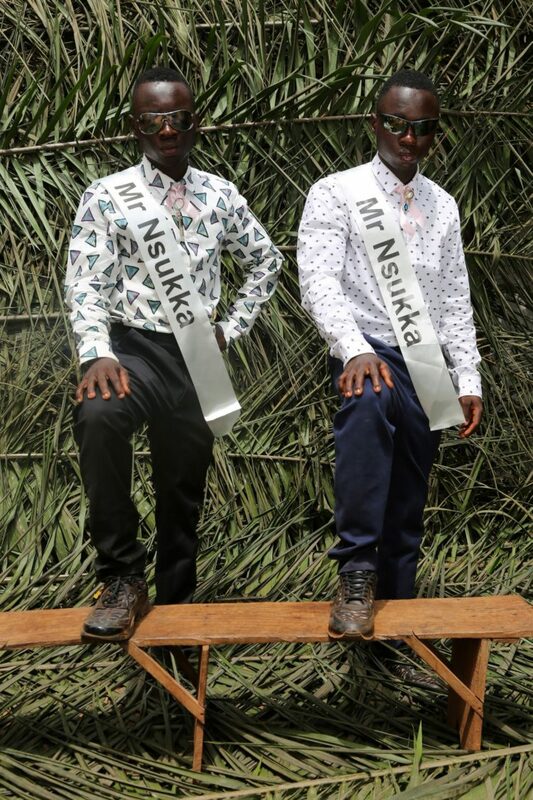 Why Nsukka and its traditional festivals? Well, I’d come up with the concept about a month or so before about beauty pageants. It was actually meant for a music video but it got rejected. When KENZO asked for an idea it was something I was still very obsessed with and had done the research for. The tapestry of what binds us as Africans is magical! Creating more silhouettes of black beauty queens and kings is very exciting to me, but in a more sustainable form. Something that is grounded in culture and inclusivity. Something that celebrates all that it means to be Igbo, Nigerian and African. Ruth was instrumental in Nsukka as the location, I thought it was too ambitious but she asked me to push for it to be done in her hometown. 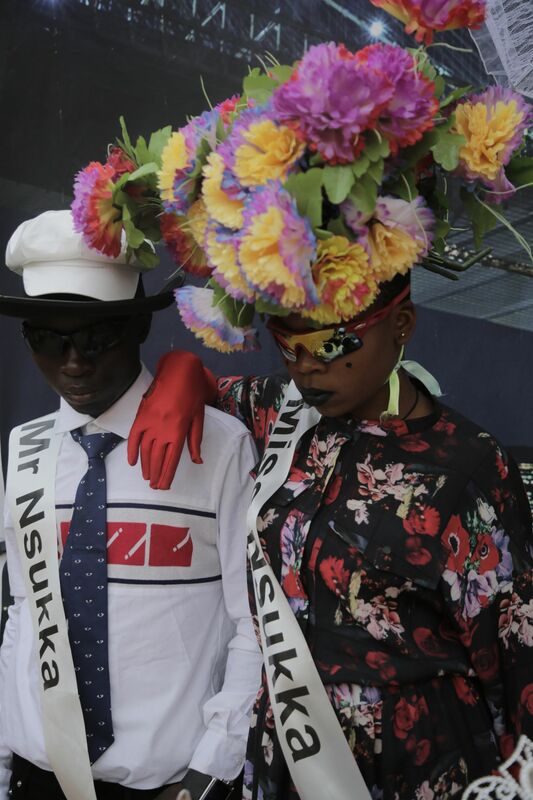 The festival came up in the research and they worked around KENZO’s themes of conceptual summer ceremonies. ‘Akinola’ is a Yoruba name: how come you decided to highlight Igbo culture instead? It was a combination of a couple things. First, Ruth already had access to the culture and participants through her work. We wanted to run a story that isn’t shown enough. Something far from the bright lights of Lagos or Abuja, we wanted to show communities that lived away from the trappings of being in a metropolis. Second, Igbo culture and traditions are as rich as any other and for me it was an opportunity to learn and visit a part of Nigeria I’d only read about in books. I think as Africans there is always a clamour to go abroad or assimilate to be more European or American, but we live in a wealth of beauty and landscapes which are just on our doorstep. Can you speak some Igbo now? I learnt a little bit of Igbo and Hausa in school when I lived in Nigeria and now I can say a couple things here and there. Last year, I went to Zaria in Northern Nigeria to shoot a personal project and learnt some basics, basically my ‘pleases’ and ‘thank yous’. Having spent most of my formative years growing up in Lagos and then London it is imperative to breach dialogue within our tribes and communities. The tapestry of what binds us as Africans is magical! It’s up to us as a younger generation to breach the gap that history might have created by leveraging the beauty of where we are from. Either through conceptual pieces of work in fashion, like this, or through other mediums. The pictures are wonderfully editorial – are these models local people? Thank you for saying! 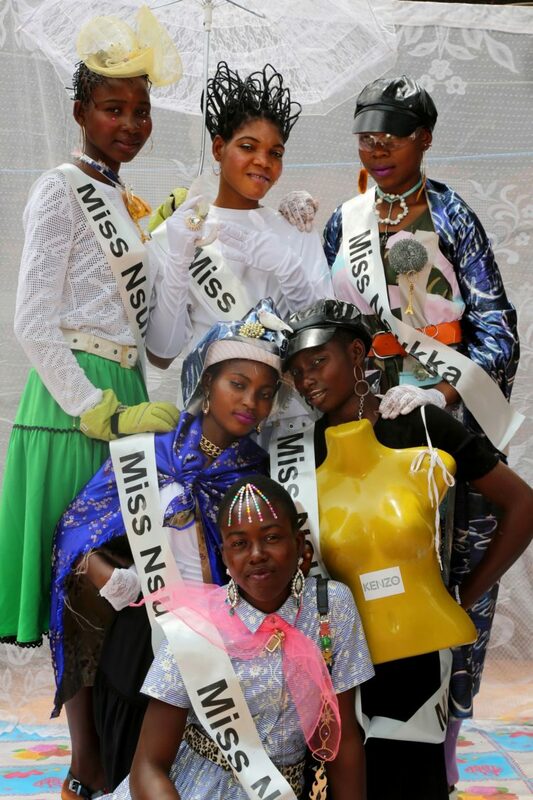 All the models are locals from the village in Nsukka. Ruth and I spent a week before the crew turned up scouting locations and casting models. 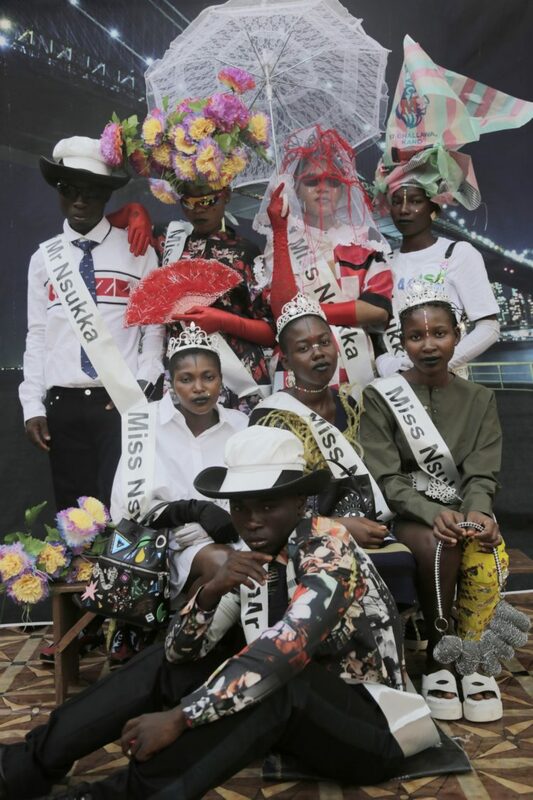 It was really important to us, as Nigerians, to identity what beauty means for us and not to regurgitate the aesthetic of other editorials by using ‘models’. Nigerians are beautiful and if we could we would have included all shapes and sizes but the reality was that they had to fit into the clothes. We had a crash course in what sample size meant! There was a turn out of about 100 people which was withered down to about 15 in the end. I believe that there are a lot of African features which aren’t celebrated and that has influenced what the standard of beauty is. We thought it was very crucial to emphasise locals with broad-ranging looks. But literally everyone wanted to help us out from carrying stuff, giving us rides and just general cameos. We can’t thank the community of Nsukka for welcoming us enough. Yeah the day we flew into Nsukka from Lagos, we went straight to the local church where Ruth informed everyone I was here to make a speech. I was as surprised as everyone there! But I told them our intentions and praised Ruth for being such great advert of her people. She really is a fantastic person, I couldn’t heap any more praise on her if I tried. Everywhere we went people wanted their picture taken by her. We canvased as much opinion and consent as possible to ensure we weren’t imposing. Hmm… from start to finish maybe about a month. I got the job confirmed at the end of January and then contacted everyone I wanted to work with. We went to Nigeria for two weeks in February and delivered the final product at the start of March. This was an ideal project for my crews in Nigeria and England to work on together and both sides worked so hard. Giving responsibility to African creatives to tell their own stories enables them step up to the mark. My producers, Julie Machin and my brother Wale Davies, really delivered in making everything run smoothly. I’m a firm believer in utilising those around you and once everyone saw the treatment they were onboard. Also, a lot is to be said for using local crew and being relatable to the community where we were. 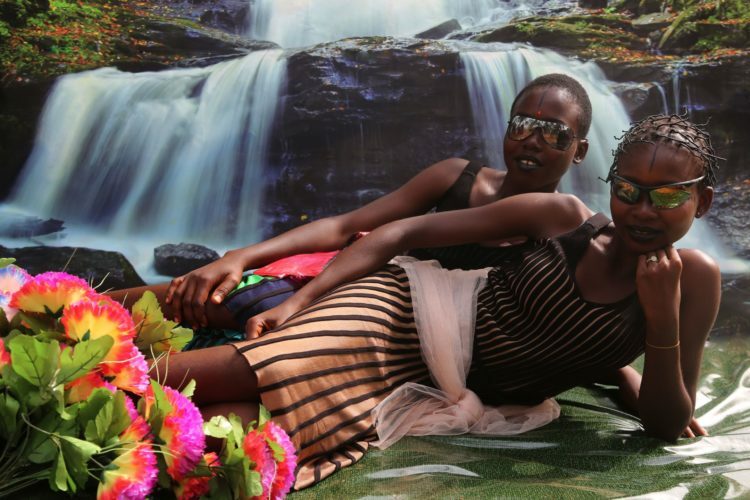 How can luxury brands such as KENZO support and collaborate with African creatives more? Well I mean KENZO, from where I see it, always champions creativity as a means to standing out. They are seemingly grounded and have their finger on the pulse. I think that is a mark of people who really know their worth and trust the disciplines of each creative process. They don’t micro-manage; they just trust you to get on with it. I think if you do your homework then you should trust the decisions you make instead of faltering. Giving responsibility to African creatives to tell their own stories enables them step up to the mark. A lot of the people I’ve mentioned, as well as those that I have not, already have transatlantic lifestyles. To be a diasporan means that we are integrated in multiple worlds. We shape shift between the West and home and understand how to position the narratives which can work conceptually for both. In this case, KENZO have brought on image directors who direct – so they understand the process. As opposed to a creative director who may not understand the nuances of giving others room to breathe. Are there any other projects you are involved with? Yes I have a few things coming up: a video I shot in Northern Nigeria will be out before the summer, which I’m excited about. Ideally, I’d just like to do more similar projects be it more documentary or shorts. This process has really boosted my confidence because a lot of my ideas get to the last hurdle but are then considered ‘too risky’. This has been echoed often but there is space for African stories by Africans and collaborations. That is a real form of creative endeavour. Lastly, the collection is pretty dope : what are your favourite pieces? KENZO better have gifted you! I’m pretty simple when it comes to fashion, I’m so not into the cost of things more the way they look on the people that wear them. 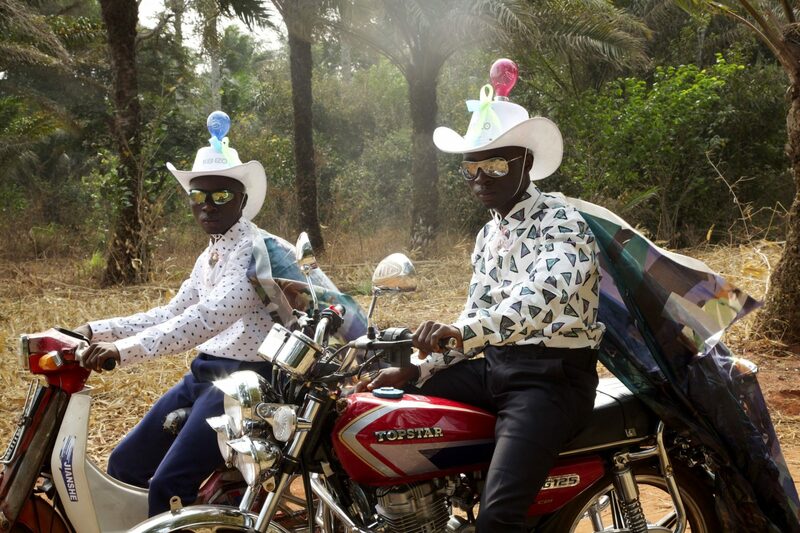 Ibrahim Kamara was a real inspiration to work with and did such a fantastic job in styling that I can’t pick a favourite. The devil really is in the detail but I really liked the KENZO football scarves!